Rapper Lil Baby headlines a concert May 2 at Grossinger Motors Arena in downtown Bloomington. 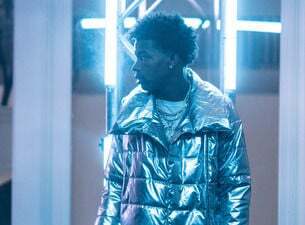 BLOOMINGTON — Rapper Lil Baby is bringing the party to Bloomington, headlining a concert May 2 at Grossinger Motors Arena. Also on the bill for the 7 p.m. show are Smokepurpp and Blunts & Blondes. Doors open at 6 p.m.
Lil Baby's debut studio album, "Harder Than Ever," debuted at No. 3 on the Billboard 200 chart. He also has a newly released mix tape, "Street Gossip." The rapper has collaborated with numerous artists, including Meek Mill, Gucci Mane, Gunna, and is best known for his song, “Yes Indeed,” that he recorded with Drake. Tickets to the concert can be purchased at the Subaru Box Office at Grossinger Motors Arena, Ticketmaster.com, or by phone at 800-745-3000. A limited number of early bird tickets are available at $39 for general admission seating in the bowl, and $59 for general admission floor tickets. After early bird tickets sell out, general admission seating in the bowl is $61, and general admission floor tickets are $89. does a ticket come with a bullet proof vest?